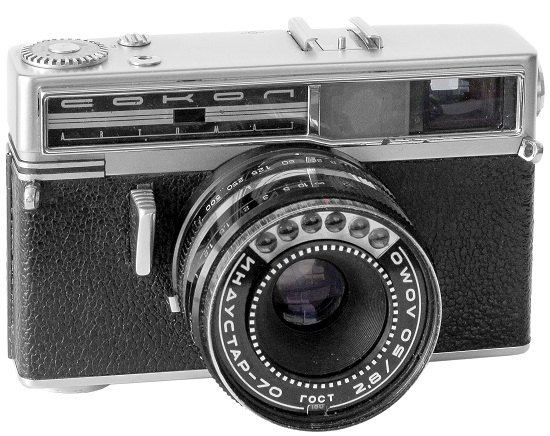 The Sokol is an automatic camera with a range finder. The first of these cameras had 6 meter cells and then production changed to 3. Existing also very uncommon variant under name Aurora Automat (can be found in UK market) and still very rare Revue Auto RS (in Germany). Shutter: 1/30s, 1/60s, 1/125s, 1/250s, 1/500s + B. Quantity: 298.855 units (all types). The original price (in year 1966) - 145 roubles. PK5730 - Sokol Automat #6801742. 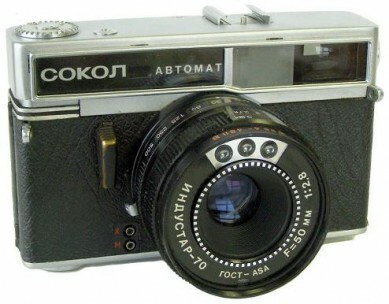 Sokol Automat is very interesting camera to collect. A lot of types of the particular camera are known to exist. 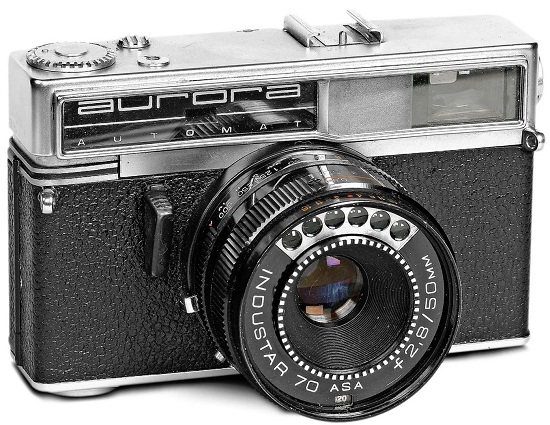 The very first cameras, as it was already said above, came with 6 meter cells and the additional switch for battery status on the top plate. 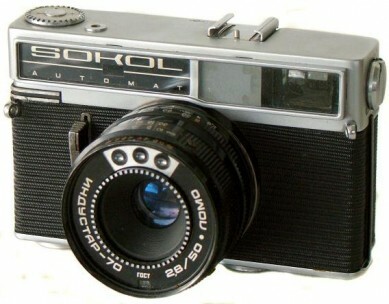 Below I will try to systemize all Sokol-1 cameras known so far. PK5705. Released in 1966 - 1967. Seems to be an earliest so far known version of the particular camera. 6 meter cells. An additional switch on the top plate, intended to check battery condition. 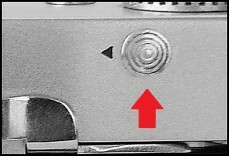 Shutter release knob is chromed, not painted as on regular cameras. The serial number has no data prefix yet and starts from "000xxx". 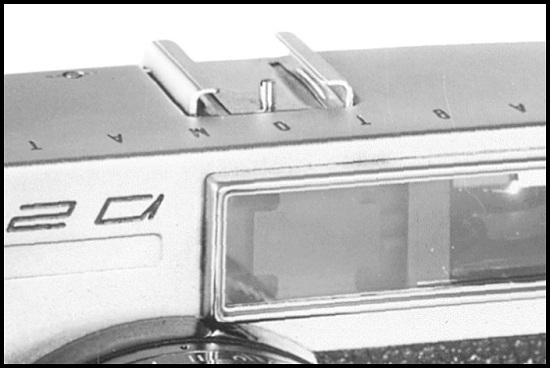 Camera body has no LOMO logotype on early samples. An earliest so far known camera has s/n #000045 (S.Pseunok coll.). The latest so far known camera has s/n #001719 (V.Maleychuk coll.). 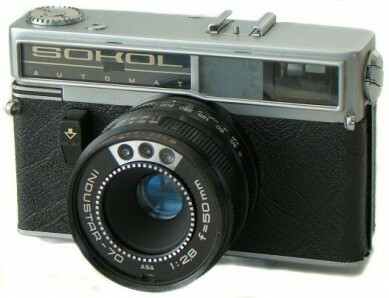 PK5705 - Sokol Automat #000163. PK5710. Released in 1967 only. It's not easy to say very precisely, but this version could pretend on the earliest Sokol camera's title together with PK5705. Camera identical to PK5705, but with date prefix in the serial number now. An additional switch on the top plate, intended to check battery condition. An ultra rare to find camera. An earliest so far known camera has s/n #671803 (V.Maleychuk coll.). PK5710 - Sokol Automat #671922. PK5720 - Sokol Automat #6800154. PK5725. Released in 1968. 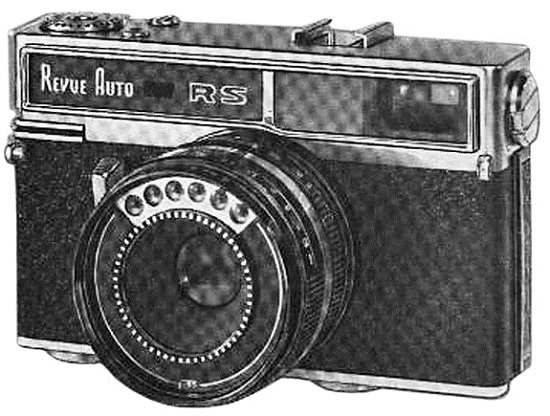 Camera identical to Aurora Automat (PK5720), but under export name "REVUE AUTO RS". Intended for West Germany market. An ultra rare to find camera, I have never seen one alive. The picture opposite was scanned from Revue Auto RS manual guide. 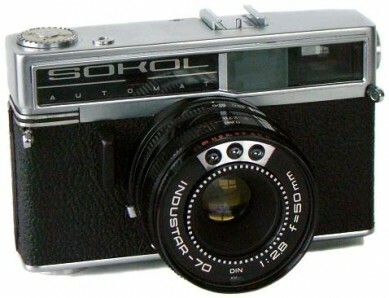 PK5725 - Sokol Automat camera. PK5730. Released in 1968-1969. Camera identical to versions above, but with redesigned top plate. An additional switch for battery status is moved to the rear plate already. All markings are engraved on the rear plate. 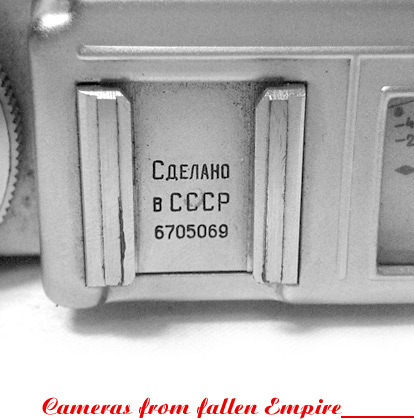 An earliest so far known camera has s/n #6801742 (SovietCams). PK5735. 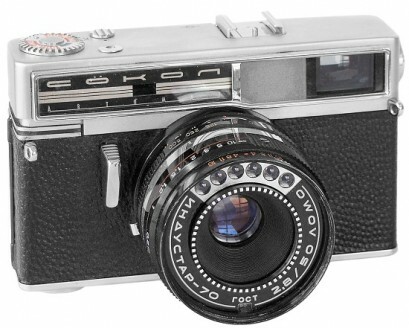 Camera identical to PK5730, but with shutter release knob, painted in black colour already. Known camera has s/n #6802527 (SovietCams). PK5740. Released in 1968. Camera identical to K5735, but under export name "AURORA AUTOMAT". 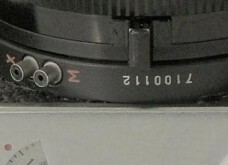 An export markings on the lens. An earliest so far known camera has s/n #6802066 (D.Tomlinson coll.). PK5745. Released in 1968. Camera identical to Aurora Automat (PK5740), but under export name "REVUE AUTO RS". Was intended for West Germany market. The existance of the particular camera is not proved yet! I need more information. 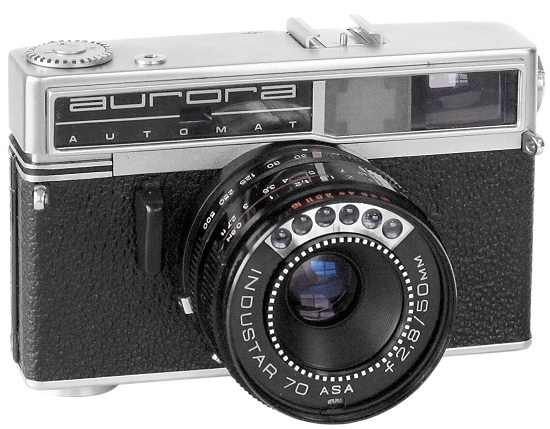 PK5740 - Aurora Automat #6802918. PK5747. Never seen before unique Sokol under name "Ladoga Automat". Signally redesigned nameplate, "Automat" engravings on the top plate (see picture below). Chromed shutter release knob. No otherwise different from PK5730. Camera opposite from LOMO (Russia) archives. PK5747 - Ladoga Automat camera. PK5750. Released in 1969. Seems to be an earliest version with 3 cells meter already. 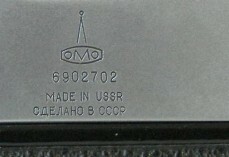 LOMO logotype as well as serial number still engraved on the rear plate. An earliest so far known camera with Cyrillic markings has s/n #6902238 (Aukro, 2014). Quantity: appr. 30.000 units (PK5750 + PK5755 + PK5760 + PK5765 + PK5770). PK5755. 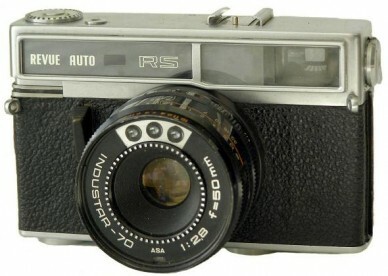 Camera identical to PK5750, but with serial number moved under the shutter housing already. Known camera has s/n #7106757 (SovietCams). PK5750 - Sokol Automat #6905648. PK5760. Released since 1970. 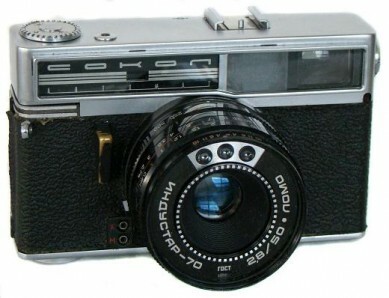 Camera identical to K5755, but with export markings on body and lens. 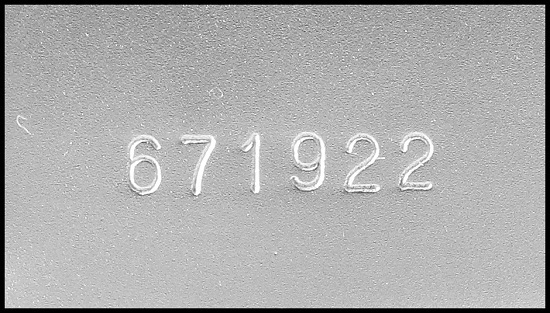 Serial number moved under the shutter housing (see picutre below). DIN settings on the lens. 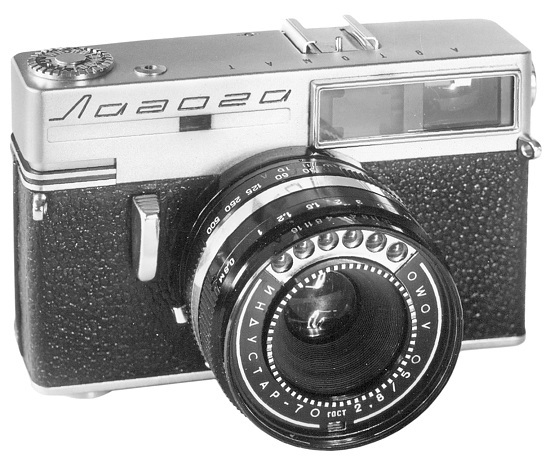 An earliest so far known camera has s/n #7002585 (Sokol manual guide). PK5760 - Sokol Automat #7100112. PK5765. Released in 1969. 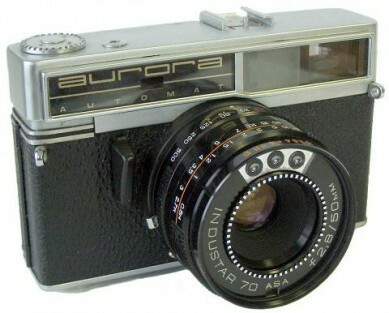 Camera identical to K5760, but under export name "AURORA AUTOMAT". 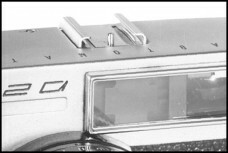 LOMO logotype as well as serial number still engraved on the rear plate (see picture below). 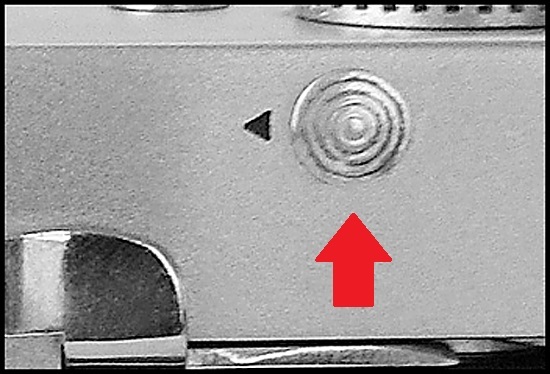 An export markings on the lens. An earliest so far known camera has s/n #6901975 (A.Zilbert coll.). PK5765 - Sokol Automat #6902702. PK5770. Released in 1969. 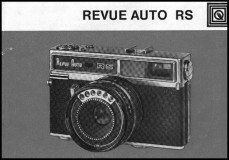 Camera identical to Aurora Automat, but under export name "REVUE AUTO RS". An export markings on the lens. An earliest so far known camera has s/n #6901599 (A.Zilbert coll.). PK5770 - Sokol Automat #6907914. PK5775. Released in 1972-1975. 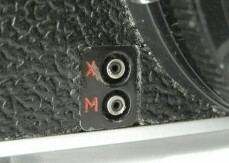 Camera identical to 3rd version cameras, but with X M contacts on the camera body now (see picture below). An earliest so far known camera has s/n #7200858 (private coll.). Quantity: appr. 70.000 units (PK5775 + PK5780 + PK5785 + PK5790). PK5775 - Sokol Automat #7405793. PK5780. 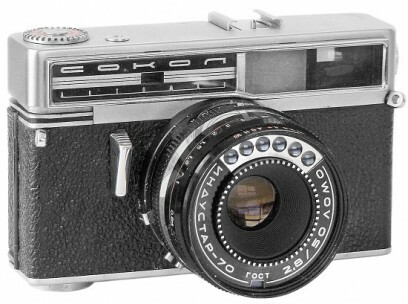 Camera identical to PK5775, but with export markings on the nameplate. An earliest so far known camera has s/n #7407048 (A.Zilbert coll.). Another known camera has s/n #7508924 (SovietCams). PK5785. 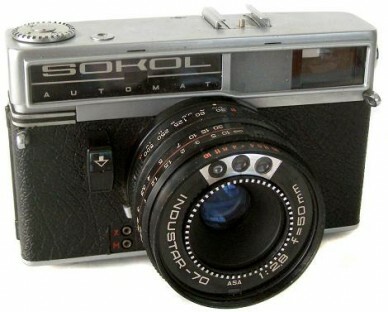 Very small batch of Sokol Automat cameras were released with new body coverings in 1974-1975. Black leatherette, as on many LOMO-130A cameras. Export markings. No otherwise different. An earliest so far known camera has s/n #7419809 (Molotok, 2009). PK5785 - Sokol Automat #7500403. PK5790. Released in 1972-1975. Camera identical to PK5780, but under export name "AURORA AUTOMAT". DIN settings and export markings on the lens. An earliest so far known camera has s/n #7307299 (eBay 2010). PK5790 - Sokol Automat #7311498. PK5795. Released in 1976. New design of nameplate markings in Cyrillic characters. GOST-ASA settings on the frontplate of the lens. No otherwise visually different. An earliest so far known camera has s/n #7606676 (SovietCams). Quantity: appr. 33.000 units (PK5795 + PK5800). PK5800. Camera identical to PK5795, but with new design of shutter release knob. Knob becoming wide, as on Sokol-2 cameras (see PK5805 below). PK5795 - Sokol Automat #7606676. PK5805. Released in 1976-1978. New design of shutter release knob. Knob becoming wide, as on Sokol-2 cameras. ASA settings on the frontplate of the lens, although happened to see sample with type PK5795 lens design. 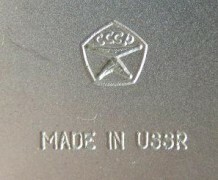 "MADE IN USSR" markings on the rear plate. An earliest so far known camera has s/n #7606066 (SovietCams). Quantity: appr. 120.000 units (PK5805 + PK5810 + PK5815). PK5810. Very uncommon export version, under name "FALKE AUT". Possible to find in german-speaking countries. PK5805 - Sokol Automat #7606066. PK5815. Released in 1976-1978. 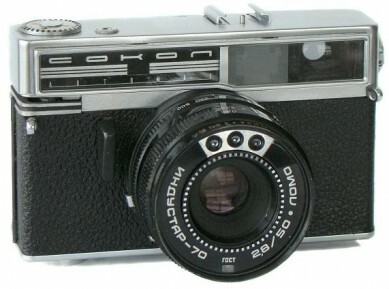 Camera identical to PK5805, but with soviet "Sign of Quality", engraved on the rear plate (see picture below).